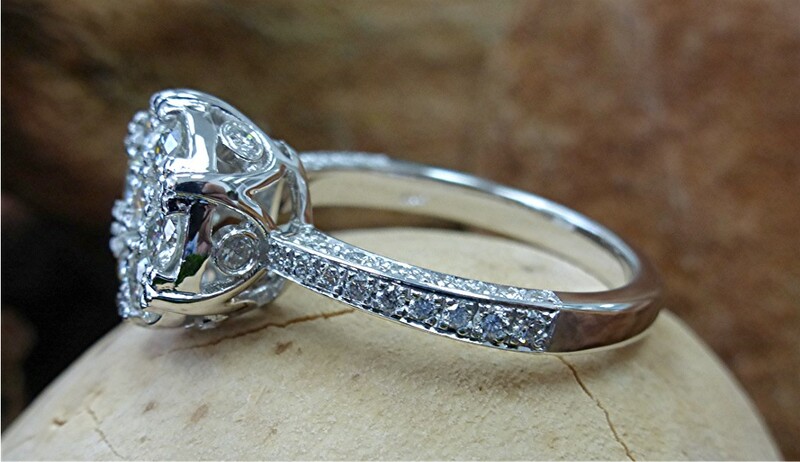 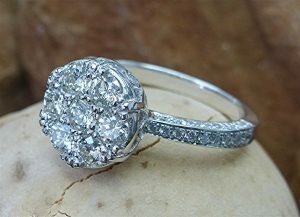 Center stone is 4.6mm round diamond weighing 0.38ct. 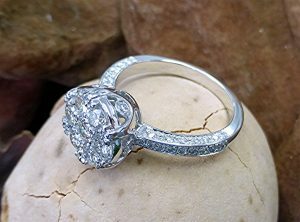 ct. Large halo has elven 3.2/2.3mm RBC diamonds weighing 1.35ct. 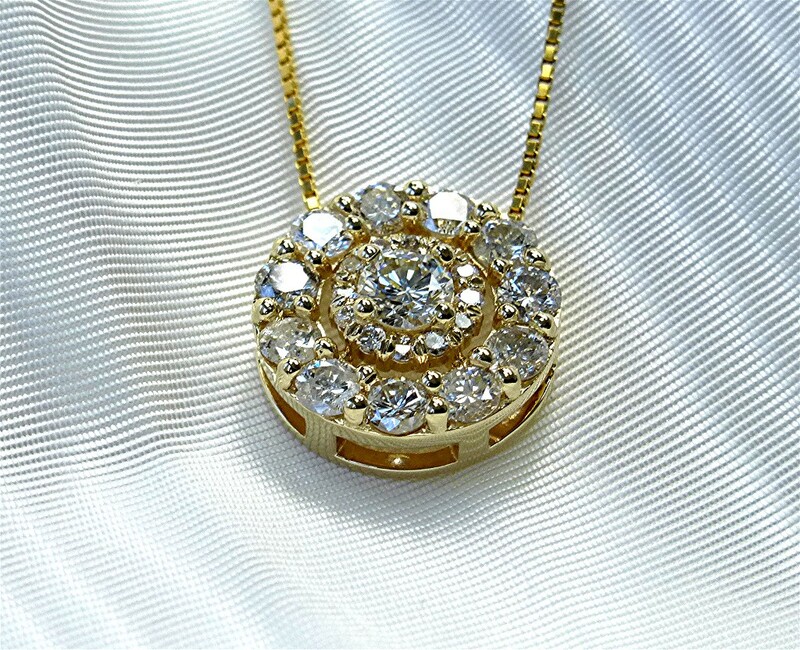 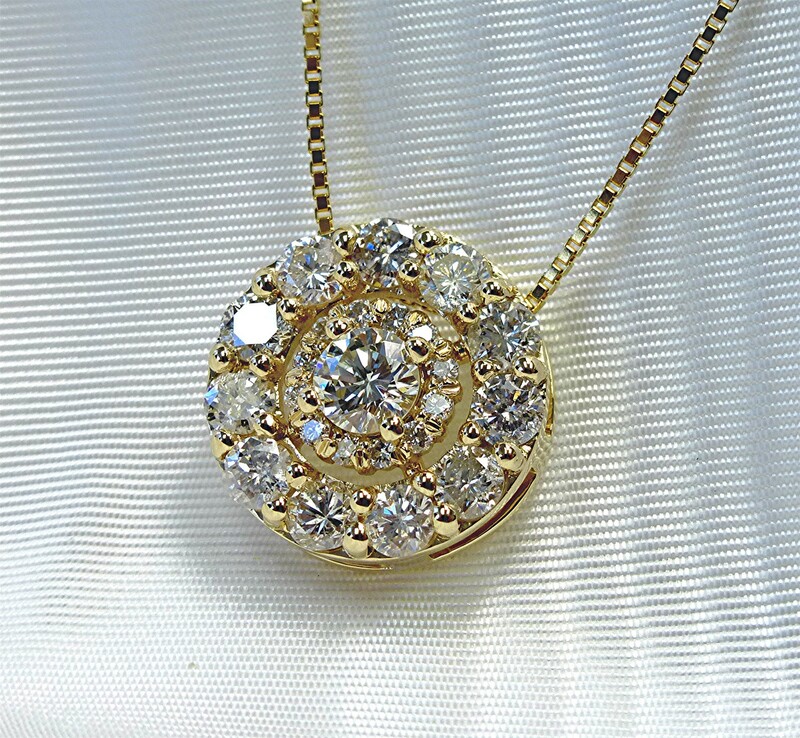 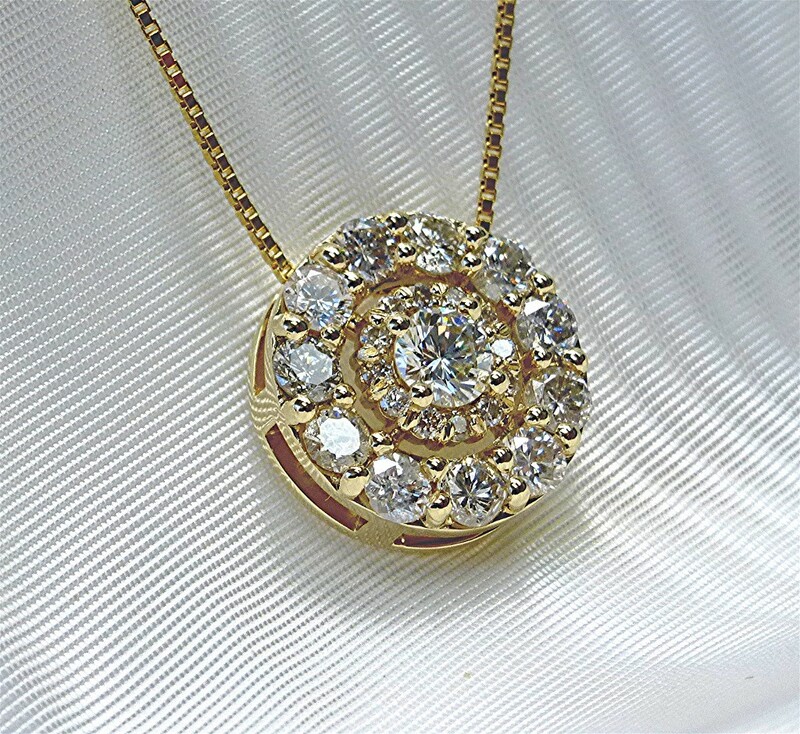 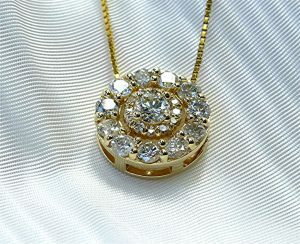 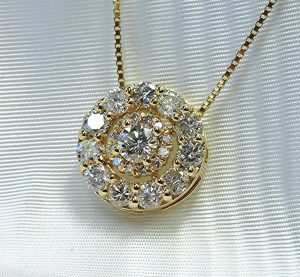 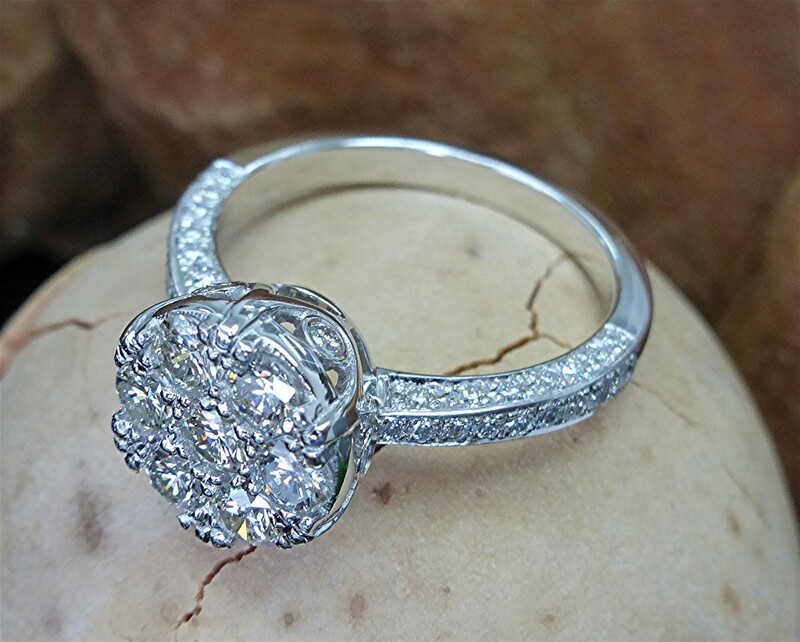 Center stone is also surrounded with 12, RBC diamonds weighing 0.16ct. 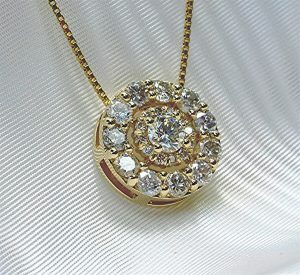 Mounting is 14k yellow gold. 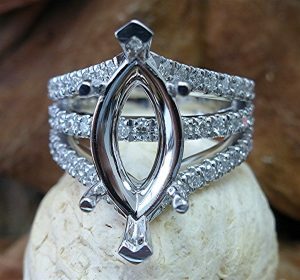 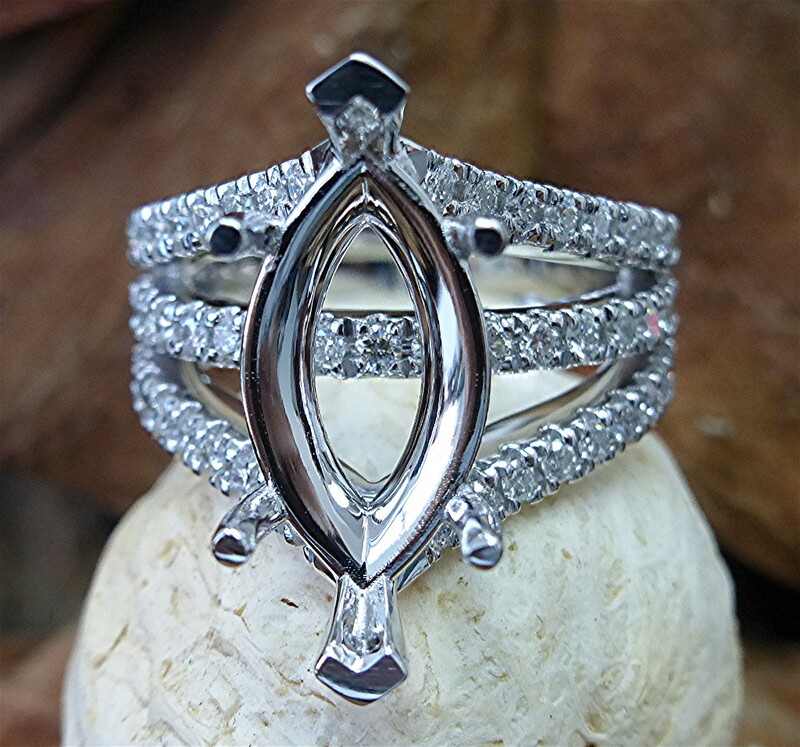 14k white diamond semi mount for 16x8mm center stone marquise shaped diamond. 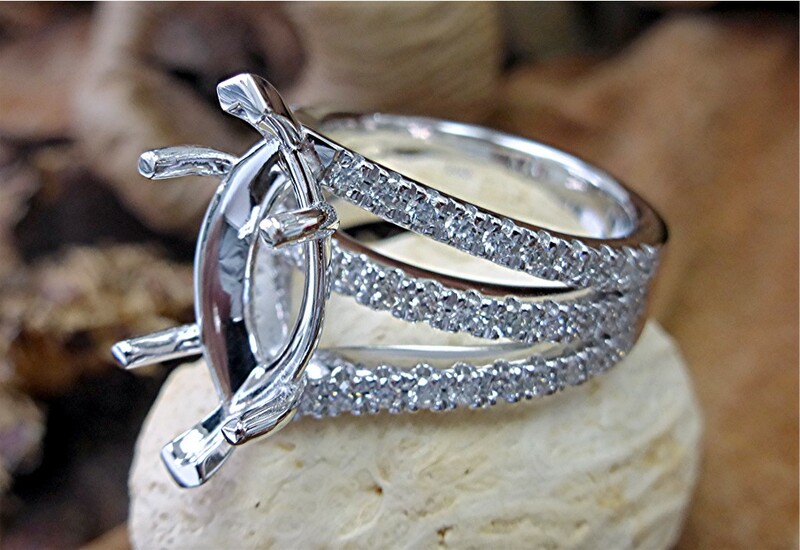 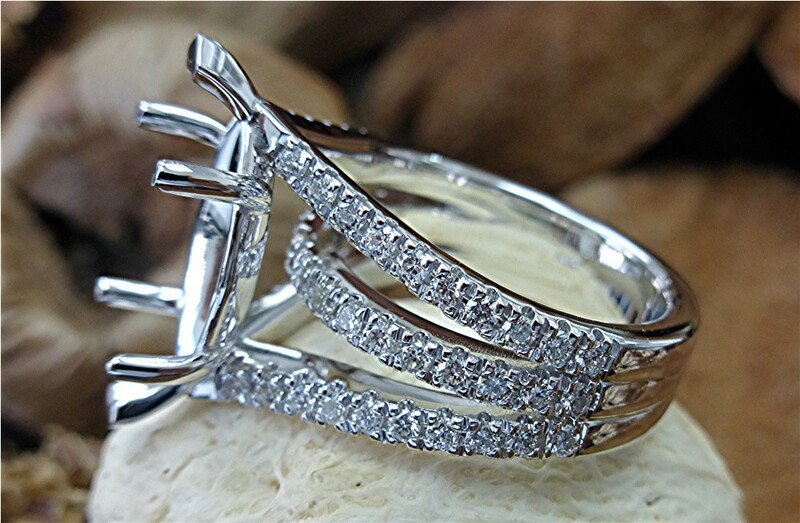 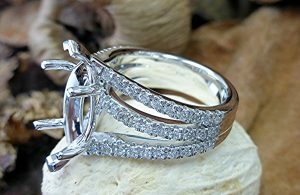 The three-row shank is set with 59 round breliant cut “G” “SI1” diamonds weighing 0.89 carat.